DCF Lawyers St. Petersburg, Florida - Barnett Woolums, P.A. T he Florida Department of Children and Families (DCF) or the local Sheriff’s Office Child Protection Investigators investigate all allegations of child abuse or child neglect. As soon as DCF or local law enforcement contacts you, you should contact Saint Petersburg family law attorneys who can assist you during the investigation stage. A dependency action is a legal process brought by the State of Florida. If a parent is reported for suspected child neglect or child abuse, the child protection investigator must investigate the claim. The investigation could lead to removal of the children from the family home and temporary placement in foster care. If you are accused of child abuse or neglect in a dependency action, you need to immediately contact skilled, caring legal counsel to help you get your children back or to defend you against the allegations. 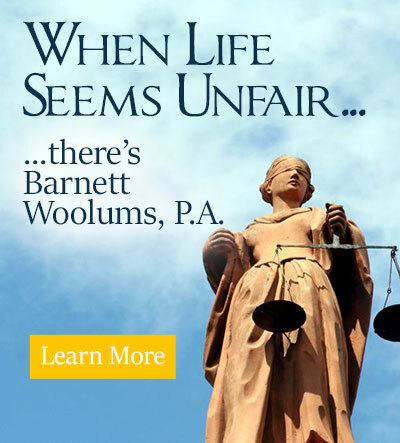 At Barnett Woolums, P.A., in Pinellas County, Florida, we are skilled in representing parents in these actions and are ready to aggressively defend you. If your parental rights are being threatened, contact us today. We’ll fight to protect your parental rights.